Searching for a specific Westinghouse TV review? If you are looking for a lower priced HDTV that is simple to use, then a Westinghouse product might be the right choice. The company started by offering LCD TVs and has recently expanded its product line to include LED products. By using an energetic marketing strategy and undercutting competitors’ prices, the brand made quick strides in the early 2000s. However, Westinghouse products get average to poor ratings when it comes to quality and reliability, so the maxim ‘you get what you pay for,’ seems to apply in their case. In rankings published by sources like CNET, PCWorld and Consumer Reports, Westinghouse HDTVs scored either at about average or poorly in terms of quality and reliability. While the price of their products may appear attractive, you have to consider cost against the quality of the HDTV that you will purchase. In a survey by PCWorld on HDTV reliability, Westinghouse scored 12th out 16 brands in overall score. The brand rated “average” in terms of problems and ease of use, but as “worse” for overall satisfaction and reliability. Consumer Reports ratings tend to rank Westinghouse along with JVC, Mitsubishi, Philips and Sanyo in the middle with lower quality than top ranked Sony, Samsung, LG and Panasonic for LCD TVs. However, Westinghouse rates above the lowest tier occupied by Magnavox and Sylvania HDTVs. The best thing about Westinghouse HDTVs is that they come at price tags that will appeal to budget-conscious consumers. For those that cannot afford the highest quality HDTVs, Westinghouse still allows them to own a set with up to 1080p resolution. However, in terms of value, consumers should not expect too much of a low priced Westinghouse HDTV. If your budget can handle it, you would probably be better off investing in a more expensive Samsung, LG or Panasonic. While Westinghouse products may appear to have the same specifications as the higher priced alternatives, published customer reviews indicate that there is a wide gap in satisfaction between the brands. Maybe not surprisingly, given the low quality of their products, Westinghouse also scores badly in the customer service department. A scan of customer reviews across the Internet shows a consensus of dissatisfaction among customers. One can imagine that the company is flooded with calls due to the reliability problems of its products. Westinghouse scores very low in terms of issue resolution and responsiveness. The only area in which rates at about average is in customer representative friendliness. Many customers have complained about the confusing terms of the company’s product warranties. The Westinghouse website offers FAQ’s along with software and documentation downloads. A live chat customer support service is available seven days a week during business hours CST. Toll free phone tech support is available during the same hours. The site also offers a web-based customer service request form. Generally, Westinghouse HDTVs rank about average on the market although some of their products do receive favorable reviews. They offer competitive pricing, which is an advantage to those consumers who simply cannot afford the better quality but more expensive brands like LG and Samsung. While you may experience problems with Westinghouse products, they do provide opportunities for high definition viewing that some consumers would not be able to afford without lower priced options. One area in which Westinghouse can really improve is in customer service. The company gets near universal bad ratings in this department. The product quality tends to vary with some of the HDTVs getting bad rankings, but others receiving a favorable reception. However, they still have a long way to go in terms of consistently producing quality TVs. screen looks like its melting, trying to get it repaired on warranty is like pulling ones own teeth. they keep stalling trying to get you to give up. i had it all lined up and now they want something else before they will send someone out to fix it. don’t buy a westinghouse tv, JUNK JUNK, TECH DEPARMENT PEOPLE ARE TERRIBLE. EVEN OFFERED TO TAKE TV TO SHOP. NO WAY WE WILL SEND A TECH OUT TO YOUR HOUSE. HAHAHA BUT ONLY IF YOU CAN PUT UP WITH OUR STALLING. I purchased a Westinghouse 32 inch LED flat screen television just before Christmas. I was very favorably impressed with the picture and sound quality and the price. Only 5 months after I purchased the television I am having intermittent problems with the picture (Lines popping up on the screen/black screen) – usually tapping on the back of the television will clear up the problem and restore the picture for a period of time, then the problem returns. I contacted the Westinghouse Service number in the manual – they confirmed that the television is indeed under warranty and I can return it to them for service. Unfortunately I will need to ship the television to Houston, Texas for repair (I live in Jacksonville, FL). I must pay the packaging and shipping costs from my location to Westinghouse (which is about $200.00). The cost of the television off the store room floor was only $250.00. Westinghouse has no local repair facilities or technicians who can come to my house to look for a loose connection inside the television, or even a local repair facility that I can bring the television to for a quick once over – all repairs must be completed out of Houston, TX and I must pay the shipping costs. Very poor warranty service, in my opinion. I will purchase a new television rather than pay the excessive shipping costs to send it in for repair…..an you can guarantee that my next television will NOT be a Westinghouse! > I had the same problems with my television (black screen) and was advised that it was in need of repairs. Luckily, I live close to them and they were willing to send out a tech to repair it, first they had to order the parts. I gave them my model number and sent them pictre of what was going on so they could order the appropriate parts. 2 1/2 weeks later I call them back to get a status update. The can not get the parts and the television is on back order so they will have to get back to me when it comes in (they say about 1-2 weeks). I call back 30 days later to be advised that the television is still on back order and they have no others to offer me to replace it. i ask about paying additional to upgrade and they say there is nothing available. They say they would be happy to give me a full refund provided I first send them a copy of my receipt and the television. They paid shipping but I had to package it myself (not easy with a 47″ tv) and would be responsible for any damage caused in the transport. I asked if there was any way for me to drop the television off seeing as how they are local, but was told no. I was advised that after they got my television it would be 2 days before they issue a check (sounded fine to me). I called back a week later since I had not gotten my check and was advised it would take an additional 2 weeks and I had been given the wrong information. Two weeks after they received my television it was just being processed and would take an additional 4-6 weeks for me to get my check. I called back 3 1/2 weeks later and was told it was just being authorized and almost ready to send to their accounting dept. 2 weeks later I call back and am told that the refund has been issued, but without the tax (seriously!?!?) I told them it was not ok and I expected a full refund, tax included. They said it would be re-submitted and take an additional 4-6 weeks… I am currently in limbo during this 4-6 week period and hoping that one day I will see my refund. This company has the worst customer service, poor policies,poor quality, and come off as though they are just out to scam people. I would strongly advise any person considering making a purchase from them against it. 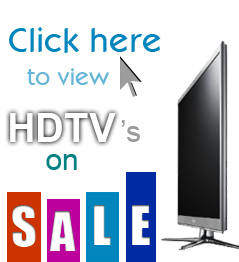 Thinking of buying a Westinghouse TV? Run as fast as you can to another brand. I have a new 32″ HD and it’s junk. I can’t watch it for more than about 20 minutes before the screen goes scrambled due to overheating. I bought a fan from Walmart and directed it into the louvers in back to keep it from scrambling. Sometimes I can turn it on and there’s no picture at all even though I get all the dish program guide, Tvo list etc., just no picture. I’d take it back but it came with the travel trailer I bought. Probably cause it was the cheapest junk TV on the market. westinghouse flat screen, model vr-5525z on 1/30/12. It went out on 06/13/12, just in time for the college world series. I bought it for sports, and movies for my wife. I understand things can go wrong with tv sets. I was in business during th crt days. It seems parts are very scarce. I checked with other brands, and they told me something is wrong, that they can’t fix the set within reasonable time. I have several smaller sets, and have had no trouble with them. By the way, it is an inverter that went bad. I guess inverters are at a premium. I will not be buying Westinghouse products anymore. surely a replacement tv is in the area, without shipping one from california. Rediculous!! Would it not be easier to pick up another set in the area, rather than ship another from california??????????? Never buy a westinghous flat screen…T.Peter Brody is turning over in his grave. What a waste of technology….Their warranty service is less than not. Sorry Westinghouse, and I am not the only customer with feelings about your flat screens. I bought the tv two months ago and you guess it -it’s no longer working. Westinghouse is giving me the run around!!! It’s been almost almost another two months now and my TV is still sitting and not working. The WestinghouseTech finally put me on this list to get another TV when its available after two more months. He said I have to be on this list for 30 days before i can request a refund. Botton line- DO NOT BUY THIS PRODUCT!!!! This company should be out of business. Westinghouse know they are selling a product that is defective but they continue to take people money hoping the TV last a year. Again, run from this company. Bad Business Crooks. I’ve had my WS 40-inch LCD TV for 6 years and I’ve never, ever, ever encountered a single issue with it. I’ve used it for games, sports, movies, etc. To each their own. I’m sure Sony, Samsung, and other TV brands have their share of angry/frustrated consumers.